Suontee is a rather large lake in Finland. 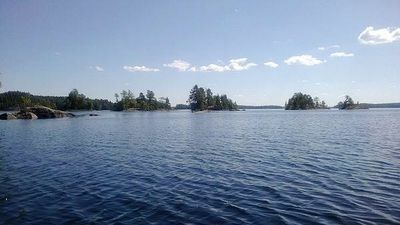 The northern part of the lake is located in the region of Central Finland, and the southern part in the region of Southern Savonia. The southern part is in a more natural state with very clear water, and it is included in the Natura 2000 conservation network of the EU. The protection area is 2 625 hectare. A typical bird there is the black-throated loon. In the past two big lakes, Suontee and Puula, were one lake until 1854, when the water level was lowered 2.5 meters. This has brought up geological stacks, which are formed by water.